I turned the grand old age of 27 at the end of last month and to celebrate Tom surprised me with a night away in Leeds. Being only an hour or so down the motorway from us, Leeds is the perfect city for a short break. 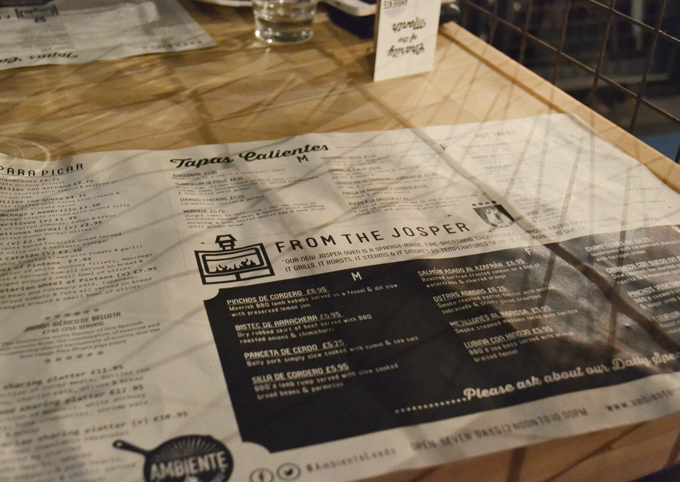 Tom had also booked us into one of my favourite places for tapas, Ambiente. 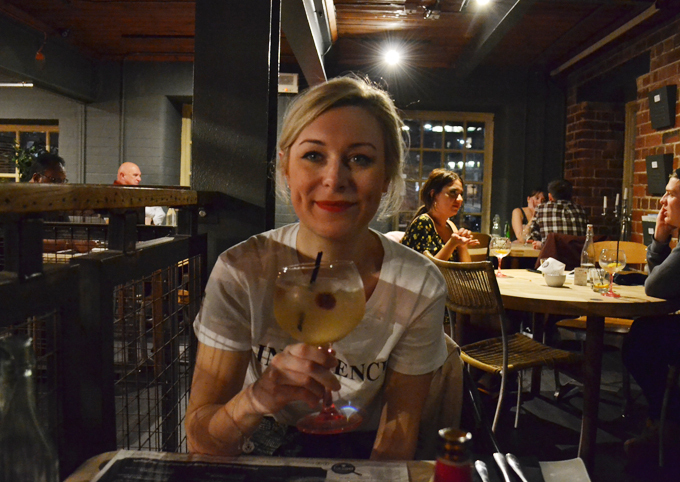 We had visited the York restaurant back in June and love it so much we talked about trying the one in Leeds. It was so nice to be surprised with a birthday meal at a restaurant I had been wanting to go back to and knew I would love. We headed to the restaurant which was about a ten minute walk from our hotel, The New Ellington at around seven o’clock. 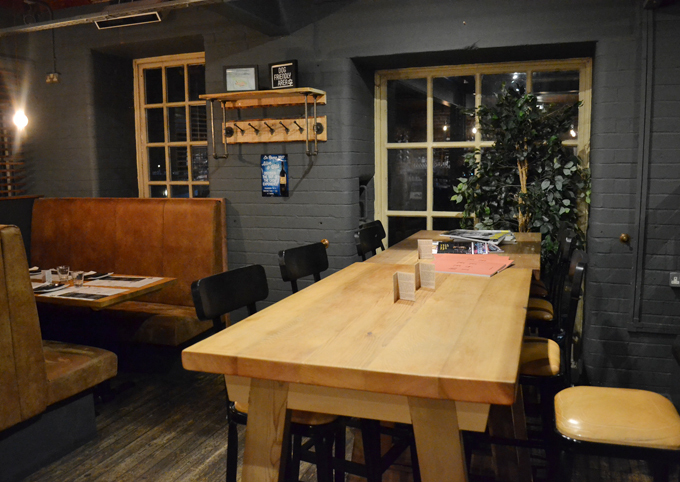 When we arrived we were greeting by friendly faces and a relaxed and cosy atmosphere. Definitely our kind of place. 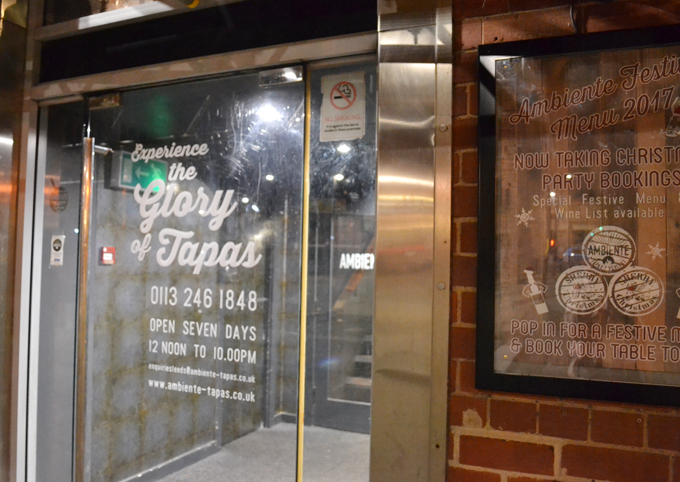 Similar to the York chain, the restaurant had a cool, industrial interior with exposed brick and metal frame work, the lighting was low and seats were comfy, the perfect environment to enjoy some traditional Spanish food. Once we were shown to our table, I grabbed a Flor de Rosa cocktail and Tom chose a beer to start our meal. 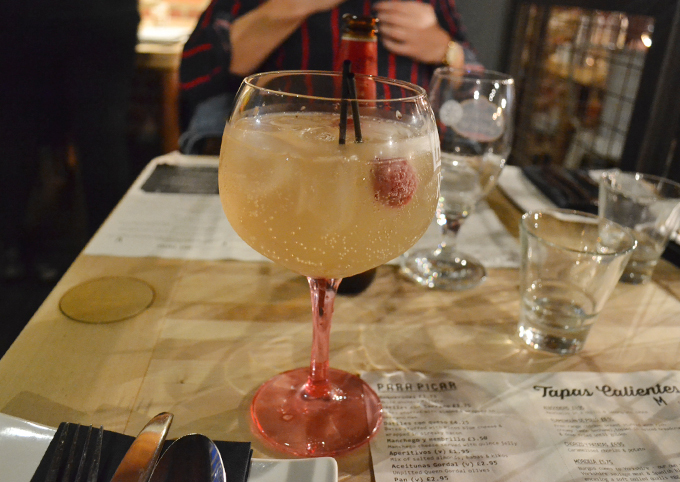 I was really impressed with the size of cocktail I got for the price, it lasted me most of the meal and was under £7. The menu was slightly different to the one in York, with the exception of a few favourites. 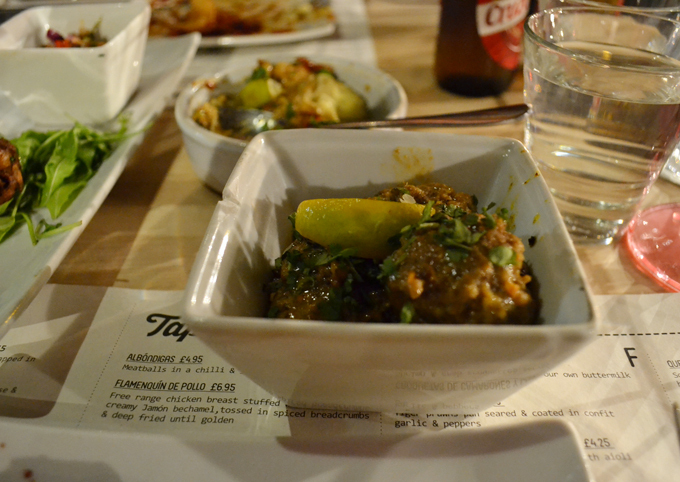 We ordered a variety of six small tapas dishes from both the meat and vegetarian options. Due to them cooking everything fresh they bring dishes out when they are ready, this can mean your meal is a little staggered. We didn’t mind this at all as we knew what to expect and the dishes came in small groups and within a few minutes of the first. 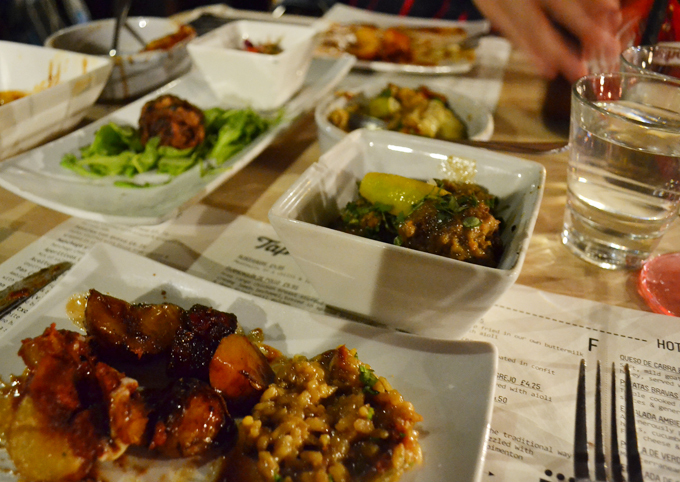 It allowed us to try each dish in good time and without everything going cold. 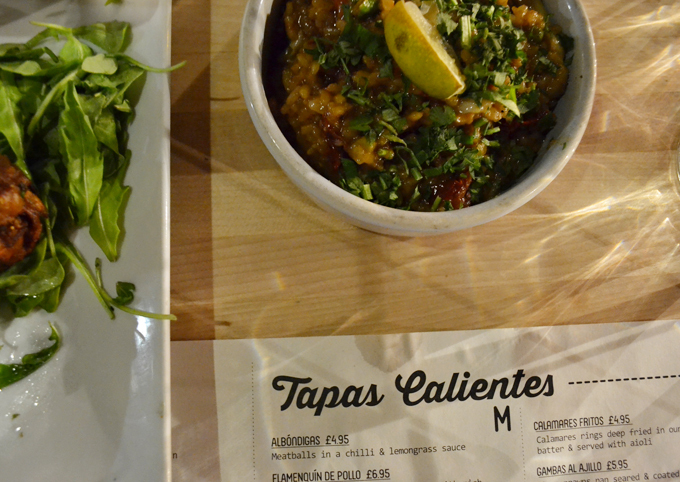 I love the spanish style of cooking, each dish was full of flavour, colour and texture. 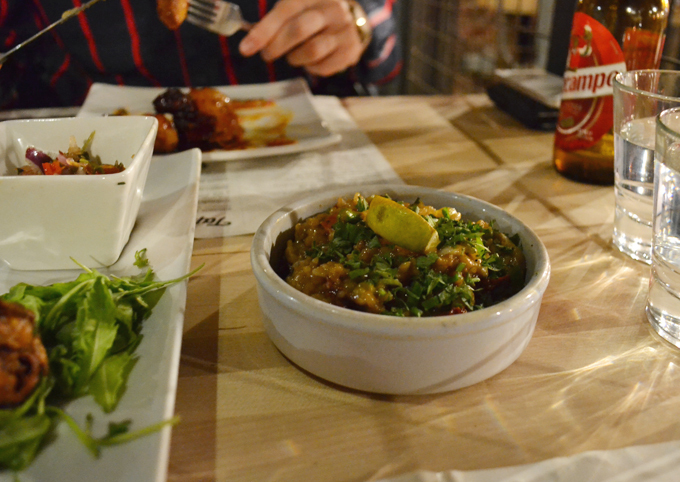 I don’t think I could possibly chose one favourite as they were all different but the Patatas Bravas and Paella De Verduras (veggie paella) were a personal fave of mine. Tom is more a meat eater and loved the Albondigas (meatballs in chilli and lemon grass) and Bistec de Arrachera (shirt of beef in chimichurri) dishes. 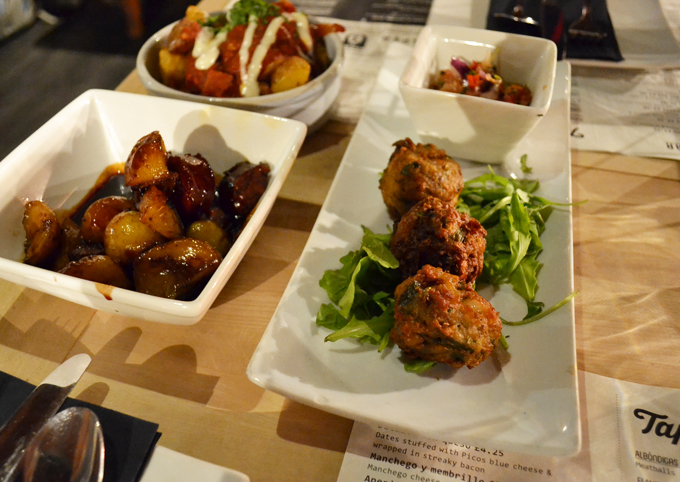 That’s the beauty of tapas, there is something to suit every taste on Ambiente’s menu and these small dishes are perfect if you want to try something new. Stuffed and a little bit merry, we headed back to our hotel after a lovely birthday celebration. 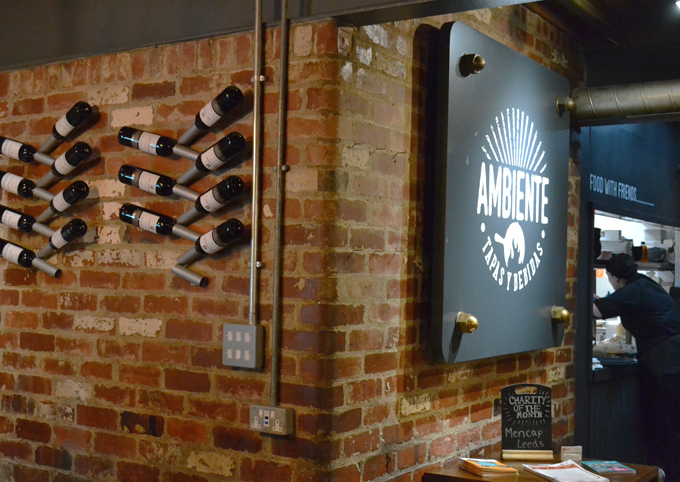 What I really liked about Ambiente is the atmosphere, it isn’t too showy or over the top yet it had class and style. 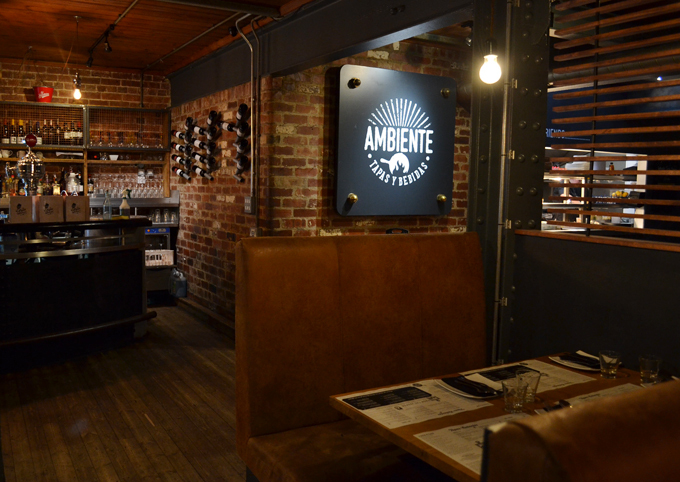 There is something for everyone, whether you want a cosy couples date night or a birthday celebration with ten friends, Ambiente suits a variety of occasions well. 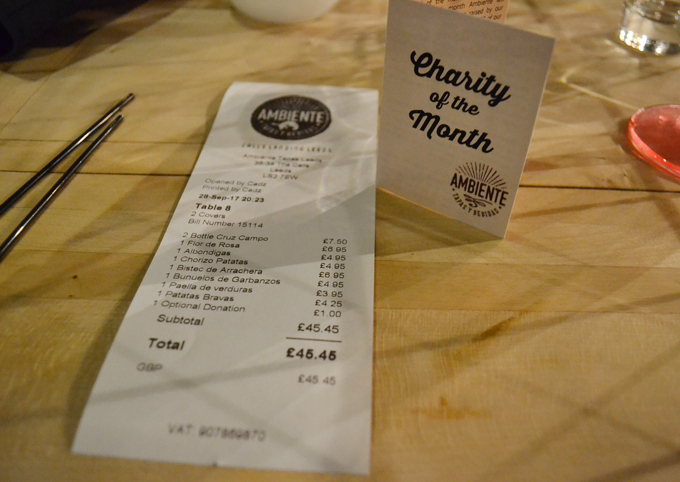 So if you are wanting a great spot for tapas in Leeds, Ambiente is worth checking out. They have a few more branches in York and Hull too.